Círculo Andante is a ministry at both of our campuses that disciples children through education, developing them into lifelong learners and Christ-followers. We meet once a week with kids ages 3-13 and teach them to love God, love others, and love themselves. We discuss these core values, have a Bible teaching, and then teach lessons that help strengthen math and reading skills. Círculo began in 2009 as a way to follow up with families who received a house from our Homes of Hope ministry. Círculo helps us continue relationship with these families and through that, we have the privilege of seeing how their lives are changed after receiving a new home. Our goal is to make God known to these kids so that through them, their whole community will come to know the love of Jesus Christ. Círculo Andante is a holistic ministry that addresses not only spiritual life, but aims to see children grow in the areas of physical, educational, and social development as well. Jesus is our example for the healthy development of a child, as Scripture says He "grew in wisdom and stature, and in favor with God and man" (Luke 2:52). One exciting new addition to the ministry at our San Antonio Del Mar campus is "Biblioteca Andante," or the Mobile Library Bus. 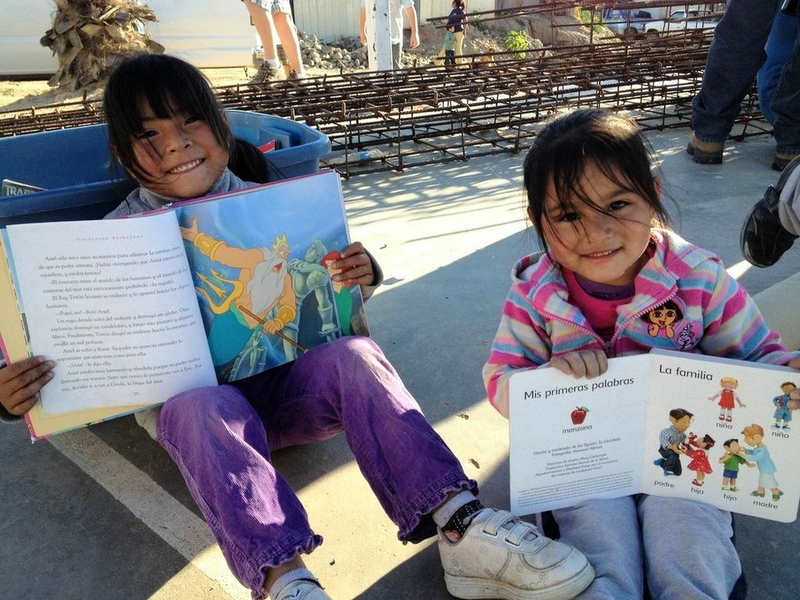 We have converted a school bus into a library in order to take books to the poorest communities of Tijuana, where access to city libraries is very limited and education levels are very low. In addition to promoting literacy, the library program teaches children to be responsible and trustworthy. For more information on the ministry at our San Antonio Del Mar campus, please contact Susie Walter at susie.walter@ywamsdb.org. For more information on the ministry at our Ensenada campus, please contact Kirsty Carrasco at kirsty.carrasco@ywamsdb.org.